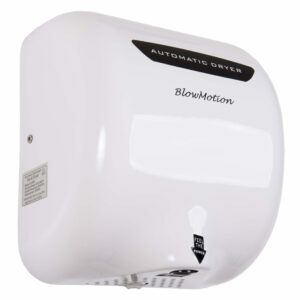 The Original ‘Jet Blade’ Hand Dryer! 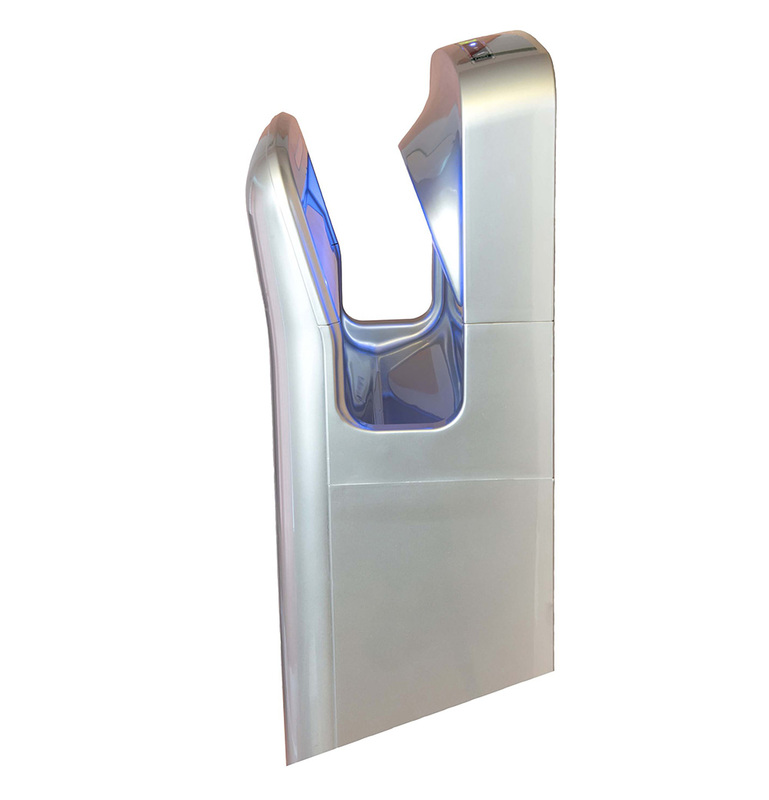 Place hands within the blue illuminated drying zone and air will be blasted onto both front and back simultaneously. This cuts down the drying time as both front and back are being dried at the same time. 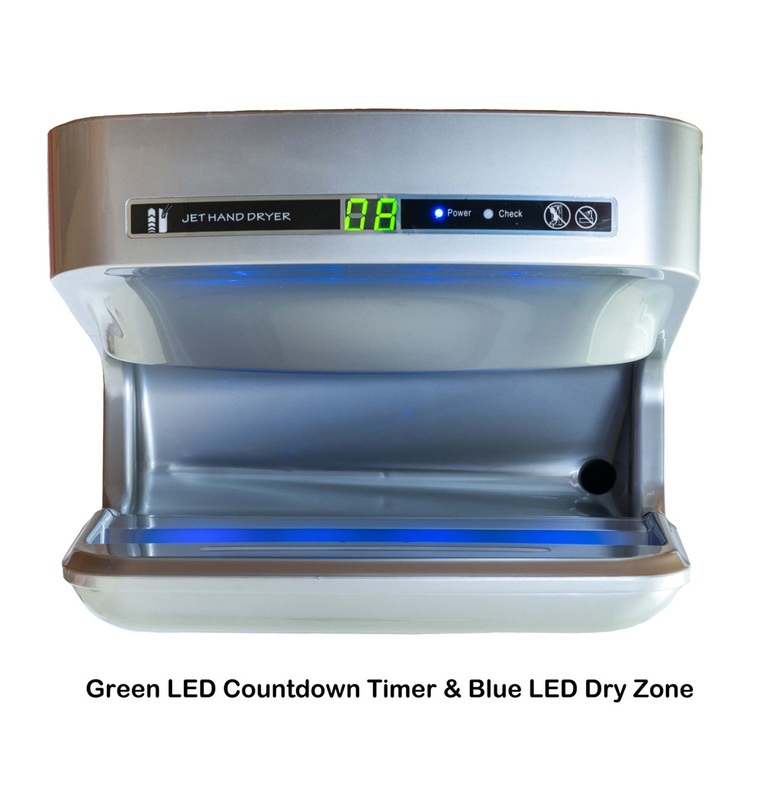 Once in the drying zone an LED countdown timer will begin. Seconds later your done! 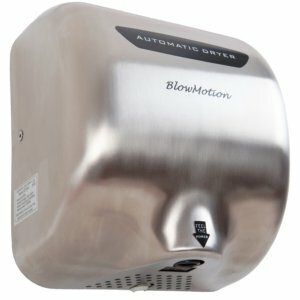 The Ninja breaks the mould when it comes to hands in hand dryers. 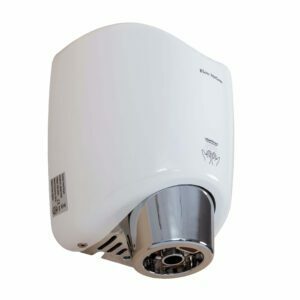 The air outlets are designed in a way that dampens the volume of the dryer making it one of the quietest high speed hand dryers available in the UK at just 72db. The Ninja can sense the room temperature and will display it on its LED panel. When the room temperature is low the Ninja will increase the temperature of the airflow. When the temperature of the room is high the Ninja will use the rooms heat as opposed to using the heating element. 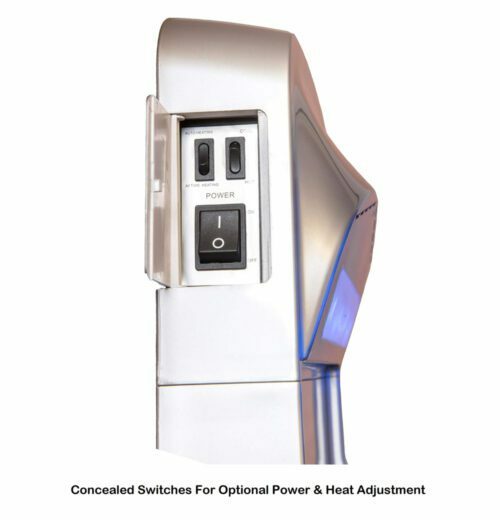 This drastically reduces energy bills and ensures the most comfortable dry at the perfect temperature every time. The Ninja can dry 100 pairs of hands for around 2 pence in electricity usage. The Ninja is equipped with not one but 2 filters! 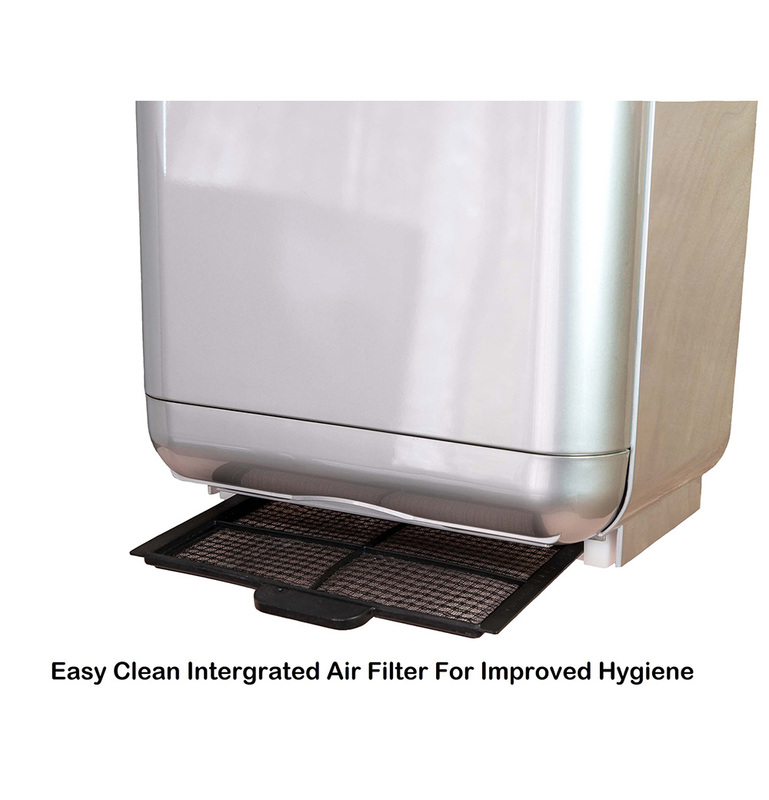 It has a dust filter that will stop any fluff or dust entering the dryer as well as a HEPA filter. 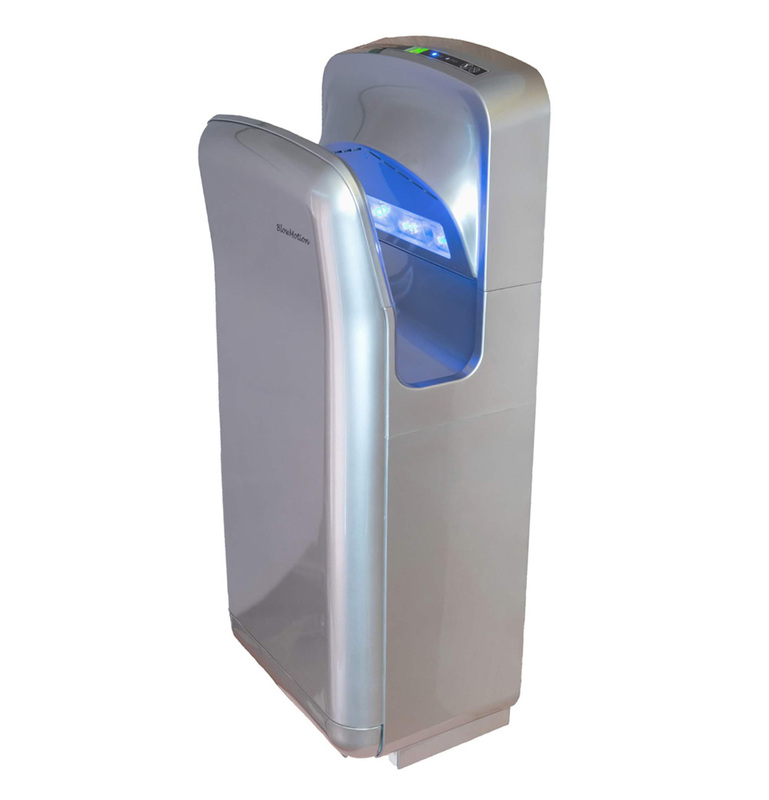 The HEPA filter stops any airborne germs and bacteria from entering the dryers airflow meaning you get the most hygienic dry possible! The Ninja has a discreet water tank at its base. 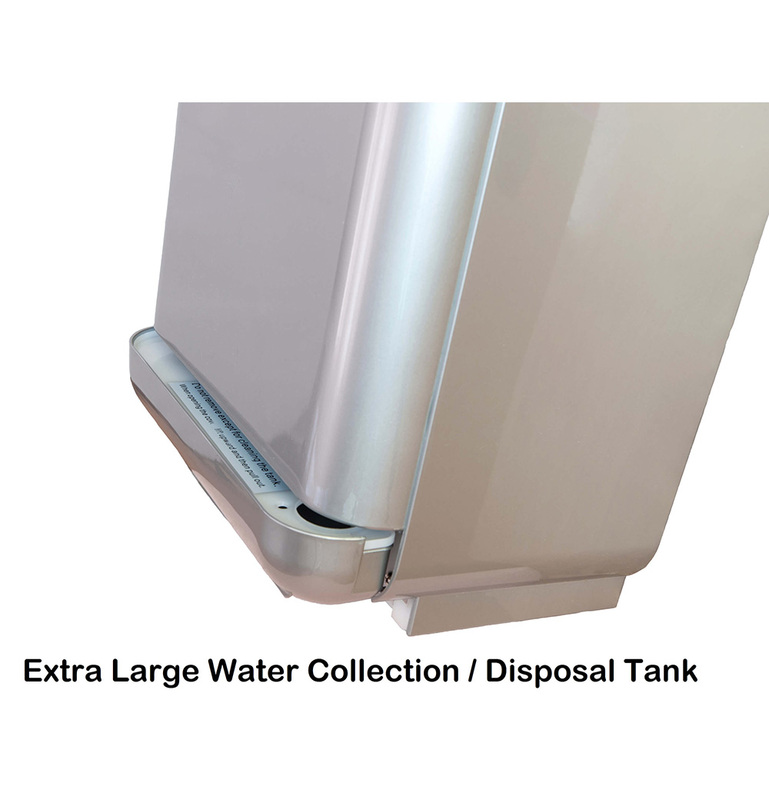 When the water is scraped from your hands during drying the water will drain away and collect in the tank. 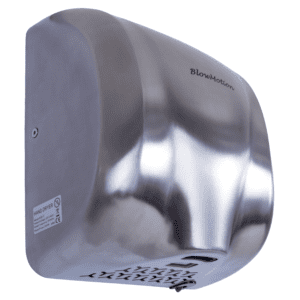 Hands in dryers without this feature will have dirty excess water running down the side of them and onto the bathroom floor. The collection tank does not require plumbing in. It will hold around 500 dries before it needs sliding out, rinsing under a tap, then sliding back into place. The HEPA filters are self cleaning so should never need replacing. To keep them in perfect condition we just recommend running a vacuum cleaner over it once a Year. The Ninja is built from a durable burn proof ABS. Its what car bumpers are made from. The Ninja is very easy to clean and should look great for many Years! If in the very unlikely event something was to go wrong within its 1st two Years we will either fix your dryer or completely replace it with a new one! Place your order before 3pm Monday – Friday and we will ship it the very same day for next working day delivery. Once more, the item is tracked as soon as it leaves our warehouse. You will receive a text message on the day of delivery (if we have your mobile number) advising you of your 1 hour delivery slot. You can even watch your dryer on a live map making its way to you!